Dale hails from Central Michigan where he is a real life auctioneer, farmer, musician and darn nice guy. He entertains many in the area with his mellow baritone voice and picking on the guitar, banjo and steal guitar. 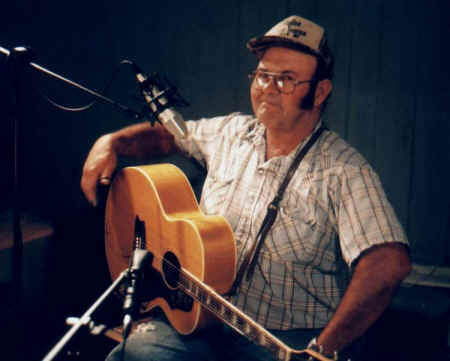 Find a Saturday night jamboree or square dance and you will probably find Dale getting the crowd to their feet or laughing hystericaly at a song about animal husbandry. He realized one of his lifetime dreams with the recording and release of Sold That Hog for a $50 Bill.